The climbing bug that is. You are probably needing to get the essentials (Don’t know what you need? Check this out). One of the vital pieces of gear is your belay device. Have you already gone to have a look at belay devices? Did you notice there are many types? 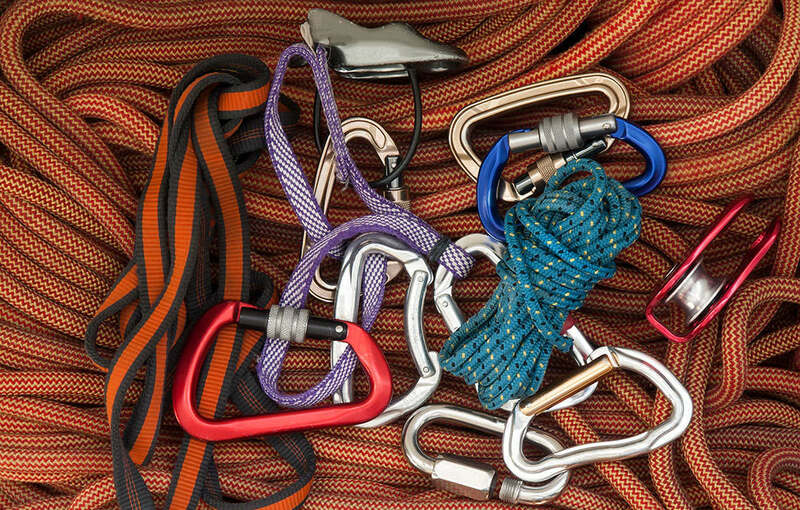 Well here is a guide to belay systems, some of them aren’t recommended but it’s fascinating to see where we’ve come from! Back in the days of loose definitions of what safety is, we had body belaying. You would wrap the rope around you and use your body weight as friction against the rope to belay your mate. Sounds crazy hey? But that was all they had. Now if you have ever met an old school climber you’ll understand the kind of passion that makes climbers throw safety aside. Staring in this multi-star film is you, your rope and a carabiner. The plot requires you to be able to tie a half clove hitch (confidently) and the ending is a simple but effective belaying system. It’s still recommended to use a belay device for maximum safety but knowing something like this can get you out of sticky situations. Say you are on a multi-pitch route and accidentally throw your device overboard…what will you do? Why be the hero in your own movie of course! You won’t see many of these around anymore but they are worth a mention. The figure eight runs the rope through one loop and around the other, creating friction. What’s the difference between say this and the tubers? The friction created on devices like a Tuber is much greater. This is important for smoother falls and quicker catches, especially if you are belaying someone on lead! Weight is another reason the figure eight is no longer the main star of the show. It’s bulkier because it’s bigger, but there is a positive to this too. For long abseils or bringing someone down, the heat from the rope dissipates into a figure eight more so than other devices. Given these few points in mind, you’ll most likely only see the figure eight being used in short top roping situations or various forms of abseiling. Depending on where you are in the world, some equipment names vary. Americans will call these devices tubers. In Australia, it’s common to call them ATC’s, even though that’s just the brand name more or less. Ticking off some important boxes, the tubers are light, cheap and efficient. They look like a 2 sided picnic basket that’s lost its floor. They require manual braking, holding the dead end of the rope off to your favoured side. These are probably the most popular devices you’ll come across. While assisted brakers are great, most people will make you learn on a tuber. The idea is that you learn to properly belay and not be lazy. Laziness means accidents. Indoor gyms use assisted braking devices for safety as they can’t always be watching everyone to make sure they are belaying properly. If you are in the outdoors you will notice only seasoned climbers feel comfortable using the automatic catchers. That is, for belaying you and having you belay them too. Every now again you see a Tuber with a twist. A toothy twist. Little corrugated edging where the rope feeds out. These “teeth” help assist with friction on the rope. Making these little toothy wonders perfect for rappelling and abseiling as well as climbing. This is the like the Facebook to Myspace of belay devices. First, we saw the tubular devices laying some solid foundations for belay devices futures. Then came the idea of assisted braking devices. The thing is that many people, especially the uh purists…didn’t like the idea of relying purely on a camming mechanism to catch their full. So we met in the middle and came up with the assisted tubular. It looks like a tubular device but with some extra edges and loops. The introduction of these loops introduced the option of “auto-blocking”. More commonly used in guiding situations. It allows a guide to belay from the top with little risk and/or effort. This is probably quite confusing to understand so again I’ll refer to you a fantastic video I’ve found. The shiny toy that everyone wants. The spring-loaded cam allows the rope to move freely one way but not the other. Meaning you can feed rope out to your climber but the moment they fall they’ll be caught. Most prominent in gyms where a lot of beginners are hanging out. SAFETY NOTE: Always keep your hand on the brake end of the rope regardless! Now you’ll hear some old school climbers complain they don’t trust them. Much like your grandparents not wanting to own a smartphone. I personally love using one because I’m little and it helps take the load when catching others or lowering them. Though I never used one until I was entirely confident with my tuber. Another scenario I was thankful was when my climber disappeared over an overhang. Not being able to see your climber can be an anxious experience. Knowing the belay device has got your back is reassuring. Also, I like to be able to preempt when someone is going to fall. It’s the difference between a major wedgie or gracious fall. It’s something to note that the assisted braking devices aren’t always as smooth to catch someone as a tuber. You don’t have as much control. Are you just starting out and on a budget? Because this is the most expensive device and a little heavier than the others. It’s a worthy investment but perhaps not straight away. Now if there is anything you should take away from this, it’s this. Your belay device is your attachment to your lifeline (rope). It’s more important to be a confident belayer as it is to be able to climb. So be patient learning. I know it’s not as fun to belay but it’s SO important. Know your technique and device(s) well and don’t get lazy. Sometimes after you’ve been climbing for a while it’s easy to forget it’s a high-risk sport. Little mistakes are so easily made but cost dearly. Because I care, I’ll be honest. There are people that know their stuff way better than I. This means that my advice and tips should be taken as only that. When you are starting out always ask for different opinions. That goes for instructors too. I did a climbing course in the beginning. My guide didn’t explain the importance of clipping in with the gate facing away from the direction your travelling. He was also admiring the old days of body belaying though. Got to love the old souls.